A loan of $1,000 helped to buy a cow to fatten and breed for calves to sell. Sivorn, 36 years old, is a married rice farmer with five children who resides in the Kandal province in Cambodia. She has cultivated rice to support her family since 2000. Her husband is 41 years old and also a rice farmer. Among her five children, one works in a factory, two work for a food store and the last two are in school. Together, the family can earn around $21 a day. 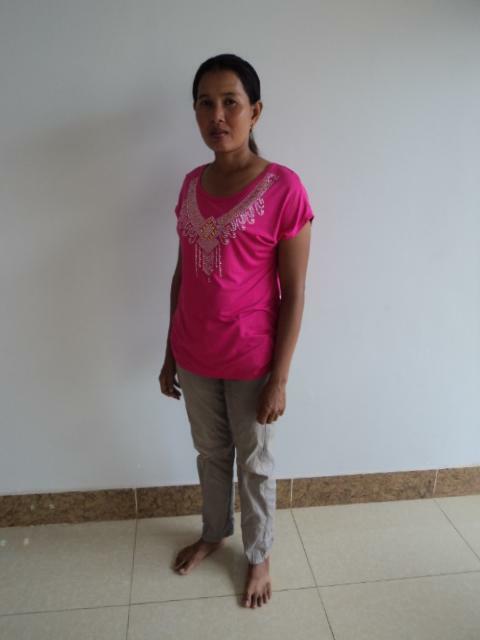 Sivorn would like to buy a cow to fatten and breed for calves to sell, but she does not have enough funds. That is why she is now applying for a Kiva loan through Kredit MFI. With the loan, she will have enough funds to buy a cow and improve her family’s finances when the cow is able to produce calves. In the future, Sivorn dreams of having a new house and supporting her last two children in earning higher education.